Hide deals from seller "HomeNet Solutions"
Hide deals from category "Cable & Satellite Equipment & Services"
Limit 1 per person. Valid on 1 hour of in-home installation of audio, video or home theater products. Products not included. Additional fee for services lasting more than 1 hour. By appointment only. Promotional value expires 60 days after purchase. 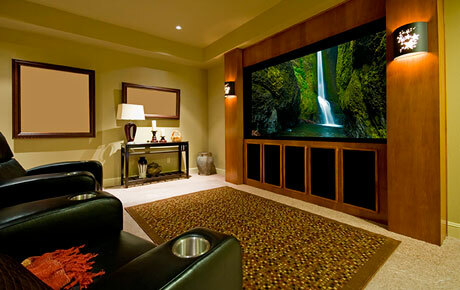 Enhance your home entertainment with this deal for 50% off one hour of in-home installation of home theater products from HomeNet Solutions, available within 20 miles of Arlington Heights ($95 value). Set up amplified audio or video to boost your movie-watching experiences. In business for 11 years, HomeNet Solutions offers custom audio and video installations, computer repair and structured wiring. In addition to repair and installation services, HomeNet also has access to a wide range of audio/video products, and with their extensive knowledge of the industry, they only recommend quality products and manufacturers. Their organization, high-level project management skills and friendliness makes the installation process smooth and efficient. Heighten your home's audio and visual senses with this sound offer. A business that offers custom audio and video installations as well as computer repair.